TAIPEI, Taiwan — Taipei City will provide free four-week tobacco control treatment for 1,000 smokers in eight public hospitals starting today. Allen Chiu, commissioner of Taipei City’s Department of Health, said it can save each smoker NT$1,000 to NT$3,000, and they can get professional help to quit smoking. This year is Taipei’s Anti-smoking year, said Chiu. Smoking is not only harmful to the smoker, but also those around them. It has a negative effect on the society. So, the department is launching this scheme, in order to help more smokers. Woung Lin-chung, deputy superintendent of Taipei City Hospital, said it is advised to take tobacco control medication for eight to 12 consecutive weeks, and the first four weeks is critical. He said some tobacco control medication have a success rate of over 50 percent. If the smokers are willing to get professional help, the doctors are confident that they can help them successfully quit smoking. Taiwanese actor Li Luo is the first smoker to participate in the new scheme. Li has been a smoker for 27 years and his highest record was two pack a day. He said he wants to quit because he wants to give his daughter a healthy childhood. He had tried to quit smoking on his own for many times but he failed. He is determined to quit smoking this time by seeking professional help and announcing it in public. According to John Tung Foundation, 39 tobacco control specialists from eight public hospitals provide 320 consulting sections for smokers per month. Each month, however, there are only 50 to 60 smokers seek help from the clinics. The health department’s statistics show that the adult smoking rate in Taipei in 2009 has dropped from 18.93 percent to 15.3 percent, accounting a 70,000 decrease in the smoking population. With the anti-smoking campaign this year, expected the number to go further down. Thought you knew all about the negative side effects of smoking? A new study reveals cigarettes may contain traces of pig’s blood which could be “very offensive” to Muslims and other religious groups, Australia’s The Australian reported on Tuesday. 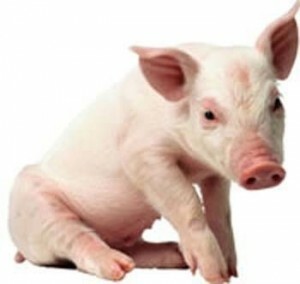 University of Sydney Professor Simon Chapman referred to a “recent Dutch research which identified 185 different industrial uses of a pig – including the use of its haemoglobin in cigarette filters,” The Australian said. Muslims and Jews both ban the consumption of pork and strict vegetarians and vegans refuse to use any animal products or bi-products. “I think that there would be some particularly devout groups who would find the idea that there were pig products in cigarettes to be very offensive,” Chapman. “The Jewish community certainly takes these matters extremely seriously and the Islamic community certainly do as well, as would many vegetarians. According to the recent study, pig haemoglobin, a blood protein, is used in cigarettes to make filters more effective at trapping harmful chemicals before they could enter a smoker’s lungs. Chapman said that there is no way of knowing for sure which brands use pig haemoglobin. When listing the content of their products, tobacco companies say that there are “processing aids … that are not significantly present in, and do not functionally affect, the finished product. “Pig haemoglobin falls in that category and therefore would not be clearly stated on the list. “If you’re a smoker and you’re of Islamic or Jewish faith then you’d probably would want to know and there is no way of finding out,” Chapman said. The discovery places more than 100 million Muslim Arabs in an extremely awkward situation, especially considering that several fatwas have already been issued prohibiting smoking altogether. This new information would make the previous prohibition all the more valid for Muslims. “According to Islam, money should be spent for the benefit of the people and religion and cigarettes do neither,” said the fatwa. Uthaymeen also based his fatwa on the Quranic verse that prohibits Muslims from undertaking actions that might lead to their death. “Smoking causes fatal diseases like cancer and eventually leads to death. Thus, it is against the words of God,” the fatwa added. Cigarette filters, aimed at reducing the amount of smoke inhaled, were first invented by the Hungarian Boris Aivaz in 1925. The first filtered cigarette was produced in 1927. In 1935, a British company started developing a machine that would produce filter-tipped cigarettes. By the 1960s, all cigarettes came with filters. Cigarette filters are made of a fine material called acetylated cellulose, extracted from crepe paper. China wrestles with tobacco control. An interview with Dr Yang Gonghuan. Around one-third of the world’s smokers live in China, which has some of the largest tobacco companies. Weiyuan Cui interviews Dr Yang Gonghuan about the formidable forces of opposition to tobacco control in a country estimated in 2002 to have 350 million smokers. Dr Yang Gonghuan is the deputy director general of the Chinese Centre for Disease Control and Prevention, director of China’s National Office of Tobacco Control and a professor of the Chinese Academy of Medical Sciences. She earned her degree in medicine from the West-China Medical University in 1982. One of her primary contributions to public health has been to set up a disease surveillance system in China. Q: Has there been progress in tobacco control in China? A: Before 2006, attempts at tobacco control were mainly research by health experts and basic health education. Since China joined the WHO Framework Convention on Tobacco Control (WHO FCTC), the Government, media, research institutions and the public have acknowledged the need for tobacco control. The Ministry of Health has published an annual tobacco control report and there have been campaigns to increase tobacco tax and warnings added to packaging. However, tobacco control faces great opposition. Tobacco control is not mentioned at all as a priority in the health reform plan, and the budget we have only accounts for 0.5% of the total budget for disease control and prevention. Q: Which authorities in China are responsible for tobacco control? A: The Ministry of Industry and Information Technology was appointed to lead the implementation of the WHO FCTC in China, a role that includes many ministries including the Ministry of Health. The State Tobacco Monopoly Administration controls the China National Tobacco Corporation, which is a state-owned monopoly and the largest single manufacturer of tobacco products in the world. The administration is responsible for policy and enforcing regulations, such as those governing warnings on packaging. It does not involve health departments in policy-making, keeping that role for itself and the government departments it nominates. Q: How does this work in practice? Q: What can be done to resolve this conflict of interest on tobacco control? A: Tobacco control concerns quite a few ministries. At the very least, the ministry in charge of tobacco production should not be in charge of tobacco control as well. The Ministry of Health must take charge of implementing the WHO FCTC and the administration of tobacco control should be separate. If an entity can behave as both a private company and part of government, it will always have the economic leverage and policy-making power to thwart tobacco control efforts. We need to close the gaps between domestic laws and the WHO FCTC’s provisions. In fact, since 1992, the central government has made the separation of government and enterprise functions a goal. At each of China’s legislative conferences, delegates have proposed the separation of the State Tobacco Monopoly Administration and tobacco corporations. As our report Healthy China 2020 has pointed out, to achieve our health goals a consensus must be reached not just within the health administration system, but at the national level, to solve the essential obstacles. We suggest a National Committee on People’s Health be established to deal with health issues that are the responsibility of many ministries. Q: Do you have difficulty getting public support? A: Generating the political will to support tobacco control is crucial, but engaging the public is equally important. In October 2008, China’s Centre for Disease Control invited more than 2000 artists to take part in the Public Tobacco Control Campaign. Our online survey to gauge support for China’s implementation of the WHO FCTC generated 1.4 million “yes” votes within three weeks. We lobbied hard for the separation of government and the tobacco industry, the use of pictorial warnings on packaging, tax increases and legislation to control secondary smoking. Yet the tobacco forces remain all-powerful. They once accused us of acting against the national interest by threatening economic growth; now they just ignore us. But I remain optimistic of progress, given the support we have had from central and regional government, the media and the public. Q: What is China’s attitude to the WHO Framework Convention on Tobacco Control? A: At the Durban session of the WHO FCTC in November 2008, I was one of the Ministry of Health’s representatives on China’s delegation, which was led by the Ministry of Industry and Information Technology. But as the director of the State Tobacco Monopoly Administration also sits on the party committee of the ministry, it was like having the Administration lead the delegation. The attitude towards tobacco control shown by the delegation was terrible. One speaker argued that Chinese tobacco packaging featured mountains, rivers and monuments, and placing “ugly” pictures besides such scenes would “humiliate the Chinese people”. But I don’t think these behaviours represent the essential attitude of China’s government. As we know, tobacco control can reduce the burden of chronic diseases, help resolve the problem of limited medical resources and lead to economic development. The delegation’s behaviour at the Durban session was merely a manifesto of the opposition from vested interest groups. A: Tobacco control is by no means just the business of the Ministry of Health. Many parties need to promote advocacy and policies such as banning smoking in public venues, promoting tobacco tax increases, etc. There needs to be more research on the harmful impact of tobacco; precise monitoring of the prevalence of tobacco use; and criteria need to be developed for evaluating tobacco control. Q: Is there support for tobacco control across government departments? A: Most government departments support control measures. In December 2008, the Ministry of Civil Affairs was to award six tobacco companies with China’s National Charity Award. These firms had financed schools named after their brand, which in some cases was printed on student uniforms. We convinced the ministry to drop the companies from its award list; the Shanghai Municipal Government declined a 200 million yuan sponsorship from Shanghai Tobacco Co. for the World Expo; and a project sponsored by the Bloomberg Foundation has reached 40 cities in 20 provinces, affecting 64 million people. All the mayors of participating cities have banned smoking in public indoor venues and 16 cities have passed regulations banning smoking in offices, schools, restaurants and hospitals. Q: What is the profile of smokers in China? A: Smoking rates among Chinese men have been consistently high in recent history, comparable to those in Poland, the Republic of Korea and the Russian Federation a few decades ago. Other countries have achieved more in tobacco control while China out-puffs the western countries. We found that in 2007, 57% of males smoked, although that was a decrease of 2% on 2002. This was attributed to smokers aged over 45 heeding doctors’ warnings to quit. In theory, it will take a generation to reduce the rate as youngsters are educated not to smoke throughout their lifetime. As for Chinese women, a strong prejudice against female smoking developed between the 1950s and the 1970s, resulting in low rates [3.7% prevalence]. Today, while more female students and educated career women tend to smoke, the overall rate remains low. We believe rates have hit an historical low and will likely increase. Q: Which group is the most difficult to educate on tobacco control? A: The rural population, because they receive the least health education and resources. The most important groups to reach, however, are the doctors and governmental officials at the local level. The officials in particular are given information about the effects of smoking but turn a deaf ear to it as they receive cigarettes as gifts, as part of a social trend. That is why it is difficult to control tobacco smoking in China; it often goes beyond public health boundaries. Q: Why is there such high exposure to secondary smoking in China? A: About 53% of non-smokers are exposed to second-hand smoking in China. Several social factors contribute to this. Gender inequality makes many women powerless to stop men smoking at social gatherings. The National Tobacco Control Office has urged people not to provide cigarettes to guests or give them as gifts. Generally, smoking is far from being considered socially unfavourable. Q: What was the reaction to a 2005 Beijing University study that found the health costs of tobacco far exceeded the profits from the tobacco industry? A: No government department is discussing this research even though the study and its conclusions are robust. Medical costs definitely exceed tobacco revenue, but it does not make sense for the government to compromise its revenue to reduce medical costs, which are mostly shouldered by the public due to inadequate health insurance. The workforce loss indicated by the study is a long-term problem, but most local governmental officials are focused on today’s issues.